Wave Corporation is going to release the Shirai Kuroko 1/10 PVC figure from the light novel/manga/anime A Certain Magical Index. This figure is approximately 155mm in height and will be released in January 2011 around 3,990 yen. In total, this figure will come with 2 optional face parts: a normal smiling face and a special "Smooching Face"! You can decide what expression to display her with. Just like the other 1/10 Wave's figures, Kuroko is also equipped with H Joint on her neck allowing her to look at different direction. 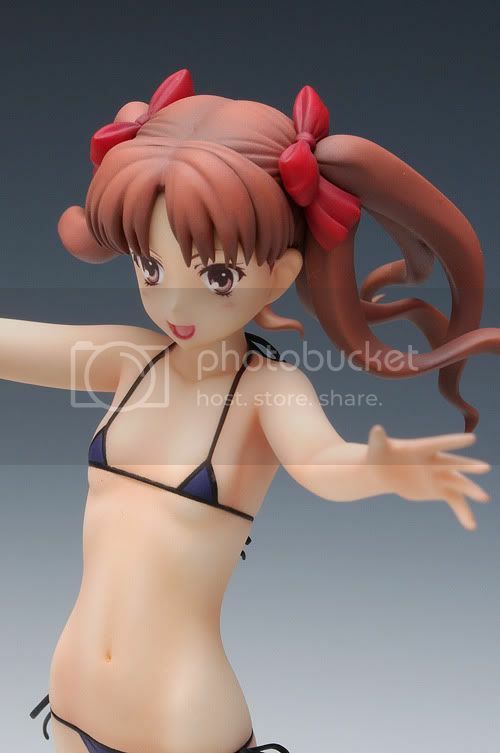 Wave's Shirai Kuroko figure will be released under the Beach Queen Treasure Figure Collection series.